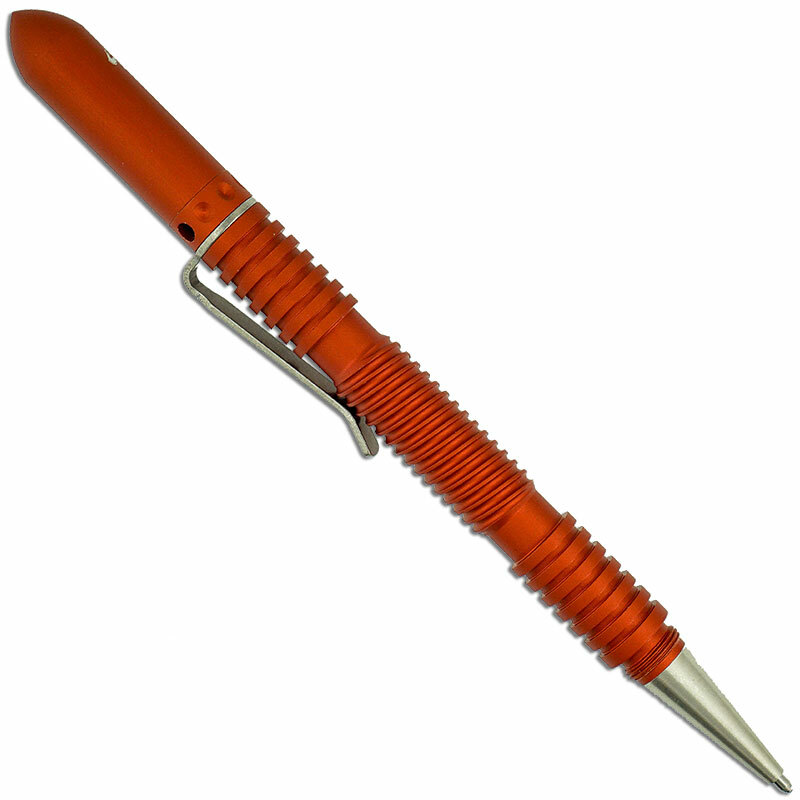 This Extreme Duty Spiral Pen - an overbuilt personal defense pen, is made of tough 1/2 inch diameter CNC machined aircraft grade 6061-T6 aluminum with a matte burnt orange finish. The Extreme Duty Pen has deep spiral grooves for secure grip in CQB situations, coarse threads with extra height for added strength during hard strikes, tough 17-4PH stainless steel nib, modular configuration with a threaded end that is exchangeable with other attachments, and a shirt pocket clip. 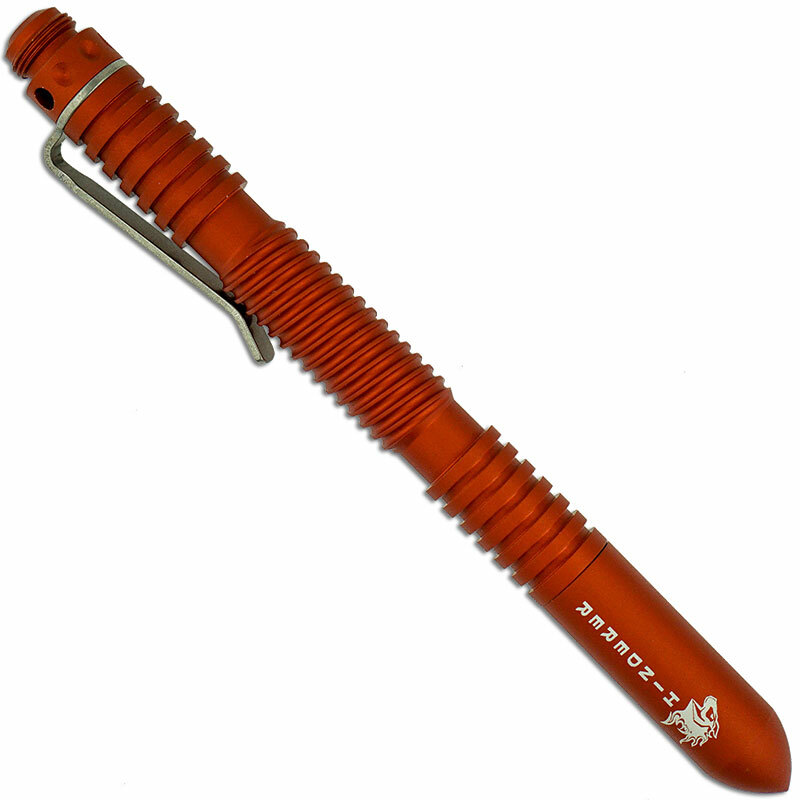 The Aluminum Extreme Duty Spiral Pen has an overall length of 5.44 inches, and it weighs 1.7 ounces. 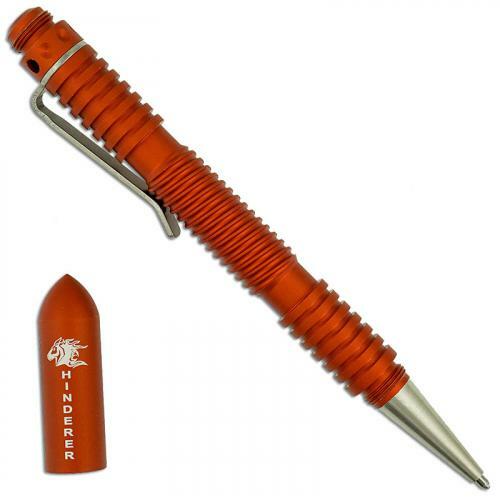 Made in the USA; utilizes the full size Fisher Space Pen refill SPR4B.